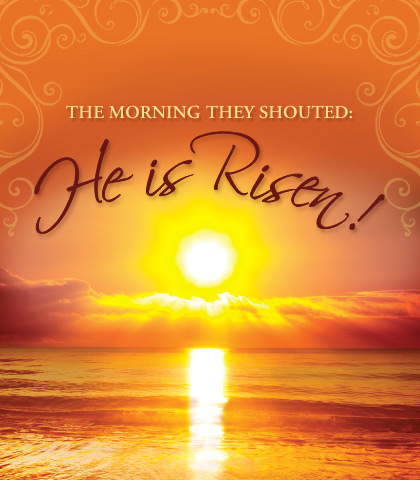 The Morning They Shouted: "He Is Risen!" Resurrection changes everything. After Jesus was crucified, His body spent three days in a tomb while His disciples cowered in fear. After Jesus rose from the dead, He bore His resurrected body on earth and then in heaven while His disciples spent the rest of their days boldly preaching Christ to the nations. Resurrection changed everything for the apostles, and its effects remain today. Join Chuck Swindoll as he turns to the theme of resurrection and the dramatic changes it can make in our lives. Many fall prey to the temptation of attending church only on those high Christian holidays such as Christmas and, of course, Easter. Sitting in the congregation only once or twice a year, a visitor might wonder just what all the hubbub is about. An hour-long meeting with a little singing and a little preaching is nice but certainly not life-changing! For most people, that’s probably right, because the life of faith brings change, not through occasionally dropping in on God but through regular commitment across weeks and weeks of seemingly little change.